Little guys are so fun to buy for at Christmas! They are playful, energetic, and imaginative. By the time they’re tweens, they’re readings books, tackling projects, and taking on new hobbies. However, they are stuck in that awkward place between being a little boy and being a teenager. Sometimes it’s hard to know if you should go for a gift that’s absurd or one that’s serious. Does he want a toy or an electronic device? 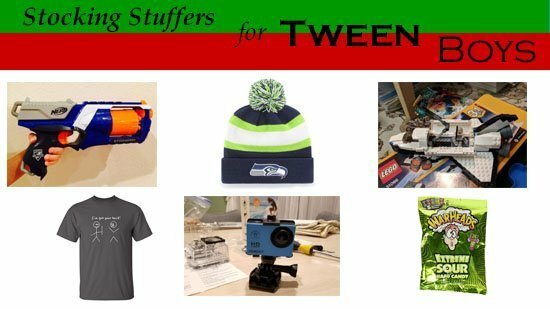 Lucky for you, we have found 25 ideas for stocking stuffers, birthday gift, or small Christmas gift any tween boy would love under $30! What is his personality? Considering your boy’s personality can help you decide which gifts he might like best. Is he one who is concerned with his looks? Maybe some hair gel or body spray would be good. Is he a comedian? If so, go for a funny shirt or game. How does he learn best? At this age, boys’ brains are still absorbing so much. Gifts that inspire learning are great, but his best mode of learning would be good to consider. If he is a tactile learner, he might enjoy slime or putty. A visual learner might like a book. An auditory learner could benefit from an MP3 player. What are his interests? 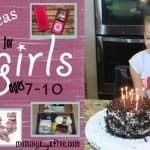 Choosing a couple items that go along with his interests is sure to make him happy, but your 10-year-old might also like to branch out to something new and exciting. If your boy likes riding his bike, maybe he would enjoy putting an action camera on it to capture all his tricks! What do his friends have or like doing? If your boy’s friends have the latest and greatest item, he might enjoy those same items or similar ones. Or maybe you are looking for some good social activities he can experience with friends. 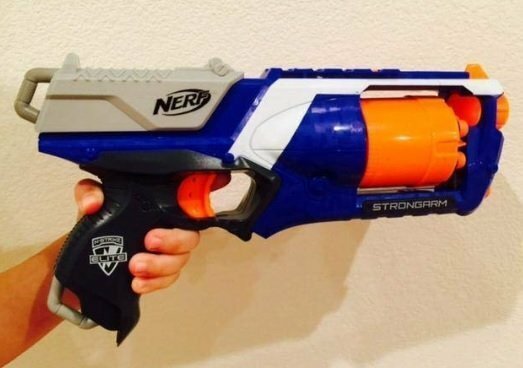 Something like a Nerf gun can be loads of fun for kids to play in groups. This amazing, inexpensive little camera is great for tweens and comes in 5 colors! 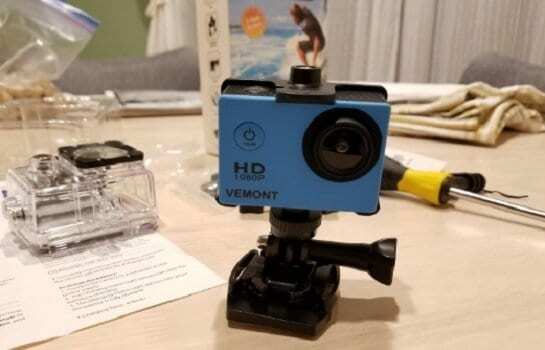 It’s a sports action camera that can go underwater and comes with mounting accessories! 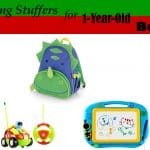 Let him explore his world and practice new skills with this awesome little piece of technology. Any 12-year-old boy would be ecstatic to find this in his stocking on Christmas morning! 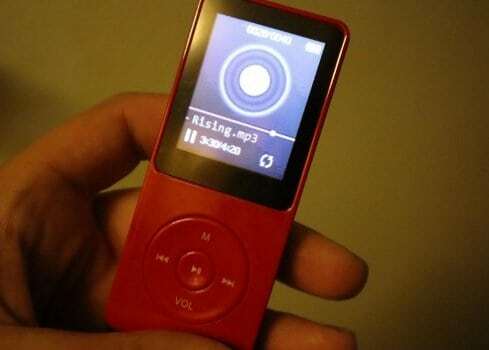 If you are looking for a stocking stuffer for a 10-year-old boy, an MP3 player is an excellent choice. This one has a 70-hour battery life, which your boy will love. The sound quality is great for your boy to listen to his favorite music. It comes with 8GB of built in memory plus a slot for a 128 GB micro SD card. At just over one ounce, it is perfect for your boy to use while playing sports or doing any other activity. This MP3 player does not come with earphones. It’s been said that 28 LEGO sets are sold per second during the Christmas season! An 11-year-old isn’t too old for LEGOs, right? This is an excellent kit for anyone who’s interested in building and space exploration. 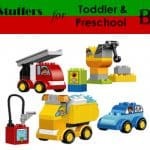 This is a 3-in-1 kit that can be a space shuttle, moon station, or space rover. 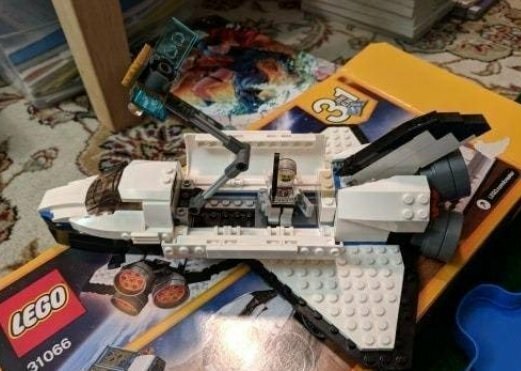 It has great engineering features like a robotic arm, fold out wings, drilling arm, and cockpit! As one of the best selling LEGO sets under $25, it is sure to be a favorite! Watch out! This Nerf gun is extremely popular! It’s easy to use and rapid fires 6 elite darts! What makes this one so fun is its ability to fire far as well as fast! The darts can go up to 90 feet! This is a sure to be a slam dunk, or should I say rapid fire, for any 10-year-old! Sometimes boys just need a toy that will help them “unwind”. This great fidget-type toy will keep your 9-year-old boy entertained and off electronic devices. 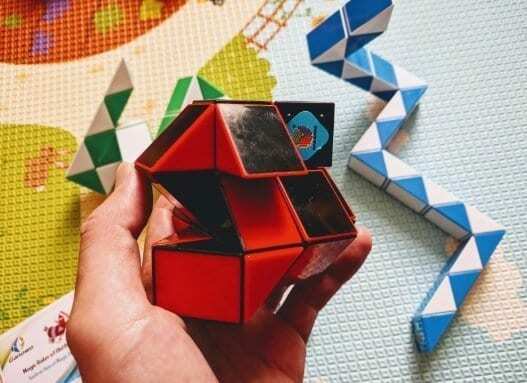 The snake speed cube puzzles can be twisted and turned to make dozens of different shapes. Kids of all ages love this toy, and you might just find yourself playing with it when your boy isn’t looking! This package includes three puzzles. Tween boys are *starting* to develop more mature humor. 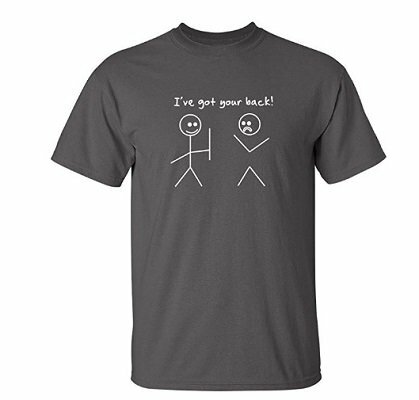 This tee is sure to make any 11-year-old laugh! This quality shirt comes in 24 different colors, so there’s sure to be a color your boy will like. It comes in kid and adult sizes, so maybe you should get a matching one for yourself :). Is your kiddo getting a little… sassy? Is he saying things you wish he wouldn’t, at a volume you don’t prefer? 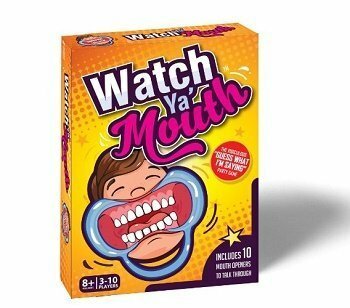 This game is a hilarious way to work it out when you want to say “Watch Ya Mouth!” It’s impossible not to laugh when you put on the ridiculous looking (and FDA certified) cheek retractors and try to guess what everyone is saying! It’s a award winning and unique family game that will amuse everyone over Christmas break! You want to keep your tween’s eyes protected from the sun, and he wants to look cool. Get him a great pair of sunglasses and you’ll both be happy. These Duco glasses have polarized lenses that block harmful UVA and UVB rays. They also eliminate glare. Flexible rubber frames mean these glasses are durable and will last as your 12-year-old participates in fishing, skiing, sporting events, and any other outdoor activity. 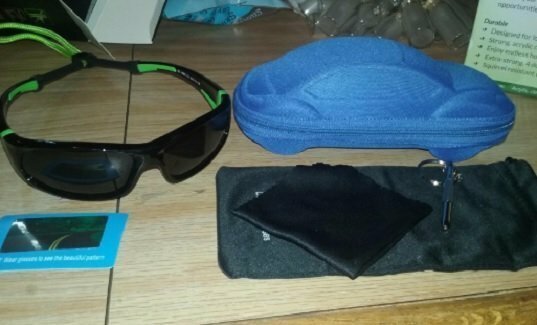 These sunglasses come in 6 colors and 2 different styles. 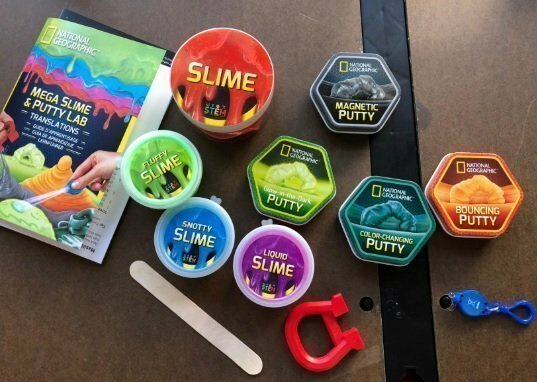 Let’s be real–no preteen boy stocking would be complete without some noise putty. However, this kit of 8 slimes has much more scientific purposes in mind. Every slime has different properties, like magnetic and fluffy, and simple experiments that can be performed with them. One even glows in the dark! They are non-toxic and safe for kids! Yes, you read that right–bacon toothpaste! If this doesn’t get him to brush his teeth, nothing will! This hilarious novelty has gotten great reviews as a gag gift! See if your kiddo believes you’re serious, or thinks he’s getting the equivalent of coal. He might end up daring his siblings to try it, or he could really enjoy it! Is your tween buddy a sports fan? Whatever he’s a fan of, it’s always fun to keep warm in winter while paying homage to what you love. 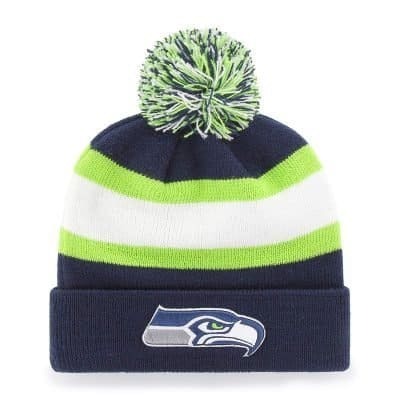 This knit cap is officially licensed by the NFL and comes in almost every possible team color and emblem! 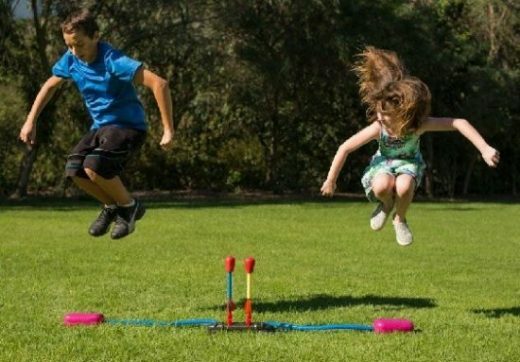 Stomp Rocket is a great way to run, jump, stomp… oh, and launch a rocket 200 feet in the air! That’s 20 stories! It comes with 4 rockets, and two can be launched at once by different people, for a rocket challenge! What makes this game special is the many awards it’s won, including the Creative Child Magazine’s 2014 Preferred Choice Award! This is a STEM toy, for developing science, technology, engineering, and math skills. It’s easy, battery free, and a great way to get out wiggles! Anyone who has been around tween boys at the end of a day of school can tell you how pungent they are. The smell is almost unbearable. 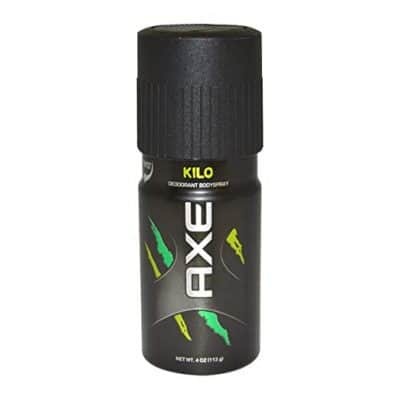 Do yourself (and everyone else) a favor and give your tween some Axe Body Spray in his stocking this year. He is likely wanting to impress the girls, so it’s a win for everyone! For some reason, tween boys seem to enjoy eating foods that other people wouldn’t think about trying. 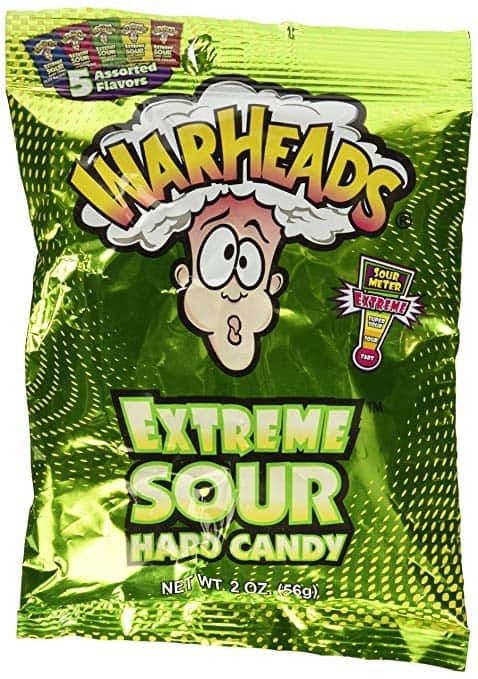 Warheads candy are so sour you think they will leave your mouth in a permanent pucker. Boys love proving how tough they are by eating these candies. This will be a stocking stuffer favorite with your boy. Walkie talkies are the best toy ever to share with friends, siblings, and cousins during holiday family time! This is a set of two that comes in 4 colors. They are simple to use and come with a 90 day warranty. 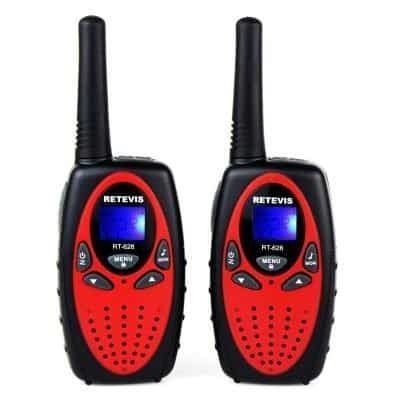 These two way radios have a long range of transmitting and receiving. The user can set specifications, like sensitivity level and ring melody! I’m sorry, but does it get cuter than this? If this is what it takes to coax your boy into formal wear, so be it. It comes in 7 neon colors, and the battery lasts 12 hours. 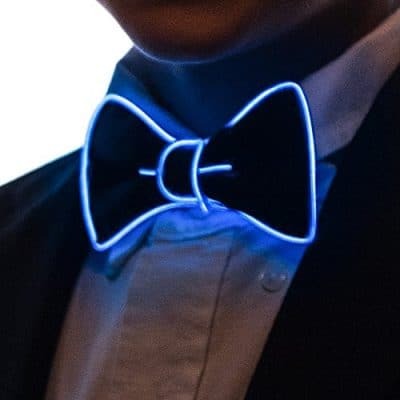 He can dance the night away at any Christmas event with this light up bow tie. He’ll be the most dapper kidlet there, hands down. If you really can’t get him into a boy tie, there’s similar LED light up gloves that will keep him warm and give him endless opportunities for creativity! A tween boy is in the stage where he is starting to care about his looks, and especially about his hair. Surprise him with this great hair gel that gives maximum hold without weighing the hair down. It might seem less exciting than other options, but he will love receiving it. Look out ladies, here he comes! Captain Underpants is a classic! Warm, creative, and funny, the stories get kids reading with the comic book style drawings! 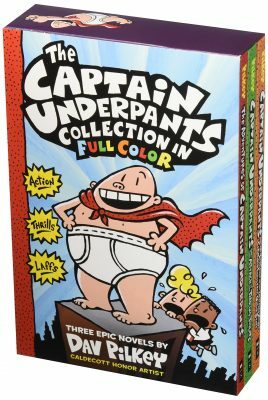 This boxed set of the first 3 books comes with the comics colored in. The story follows 4th graders who play silly practical jokes and create mischief with their principal–something many 10-year-olds can closely relate to! Yikes! 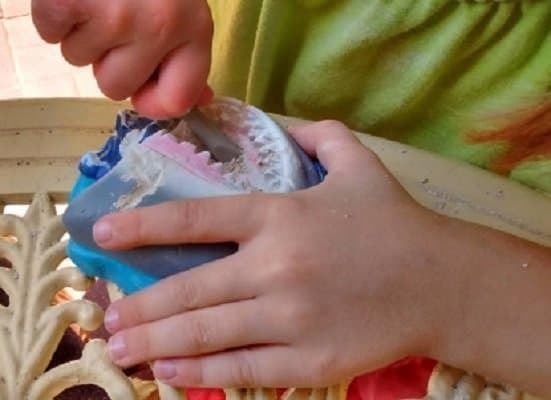 Sharks, fossils, and digging, what’s not to love? This STEM kit is from National Geographic and contains REAL fossils! It’s hands on enough to create lots of engagement and fun. At the same time, it’s designed to make sure lots of science learning happens! He’ll find out every about his specimens and different species of shark! 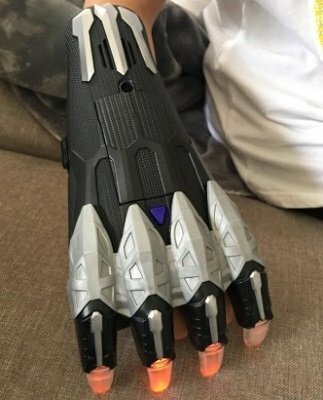 This is a Black Panther movie inspired claw from Marvel! This is a creative toy that lets kids enter the world of superheroes! It makes a motion activated slashing sound, and lights up with surface contact! The possibilities are endless with this open-ended dress up, for any Marvel fan! This the perfect fidget for a bright tween. 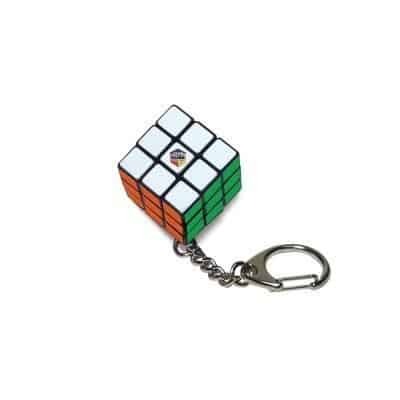 It’s small enough to be convenient to clip on his house key or backpack, while he gradually masters the mental action that Rubik is famous for! You can get it in a 1 or 2 pack, and he’ll always have something to keep him or his friends busy! I don’t know about you, but the Atlas Obscura website is the first place I go before taking a road trip. That’s why I’m so happy they put out a book for kids- and why I’m not surprised it’s a best seller! 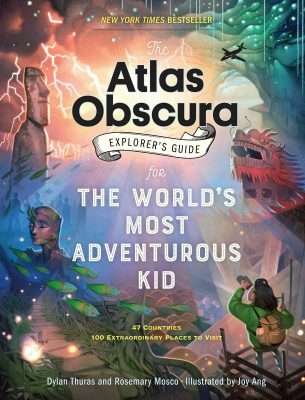 It’s an explorer’s guide for “The World’s Most Adventurous Kid”. The book goes over 100 places in our world, all true, and all weird, rare, and imaginative! I can’t think of a better way to get inspired and show your kiddo what a wide and wonderful world is out there! Get your preteen the pet nobody else has. One that will you won’t have to deal with long, because it’s lifespan maxes out at 90 days. Get him… ancient creatures!! These Triassic Triops will hatch, eat and grow. It’s a great way to learn about science! If not, there’s always the ever classic sea monkeys! It’s always fun to give a gift that has the potential to be a new hobby! 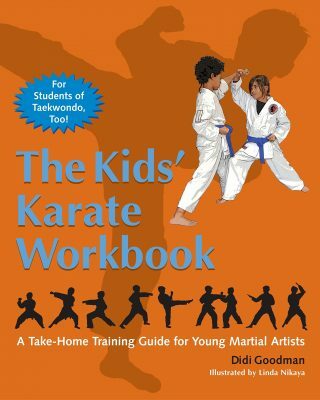 This fun workbook for kids is a great way to learn about karate! What better way to exercise and get some energy out, while also learning about a respectful, ancient discipline? It’s very interactive, with puzzles, illustrations, and everything a beginner needs to learn! Visit the Karate Combat for more info for lessons near your area.